Along with a super cool playlist, each of my WIP’s usually has a theme song. One song that pretty much sums up my plot. For my WIP BOUND the theme song is “That’s the Way I Loved You” by Taylor Swift. (I write YA, so of course I listen to Taylor Swift…A LOT…and I enjoy it!) I think she must have read my proposal for BOUND…seems like that song was written just for me! THANKS! So, what about you? Do you just listen to music at random when you write, or do you make playlists/soundtracks? Or do you have to have total silence? **If your WIP was turned into a movie, what would the theme song be? My book cover is here. Tears of joy! 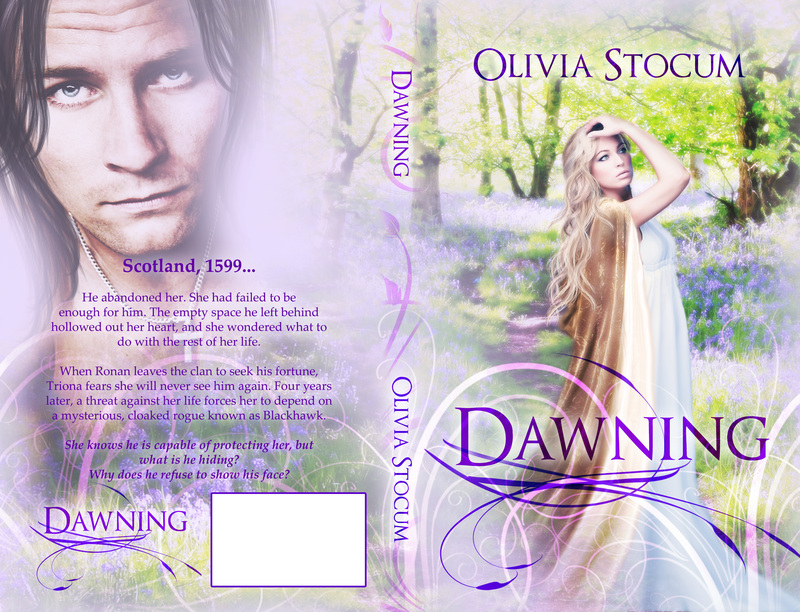 This is the cover for my friend Olivia Stocum’s novel! So excited and proud of her for going after her dreams of publishing. I can’t wait to have my own copy! Check out her blog (http://theclaymoreandsurcoat.com/2013/05/08/my-book-cover-is-here-tears-of-joy/) and her author page on Facebook (https://www.facebook.com/OliviaStocum?fref=ts). When Stephanie White from Steph’s cover designs (check her out, such gorgeous covers http://stephscoverdesign.wordpress.com ) sent me my book cover I cried. For most of the day, in fact. I feel blessed beyond reason. After having doors closed in my face for not complying with genre rules, I turned to the indie world. I had no idea how readily I would be embraced by authors and readers alike. Thanks to everyone who’s supported and believed in me.